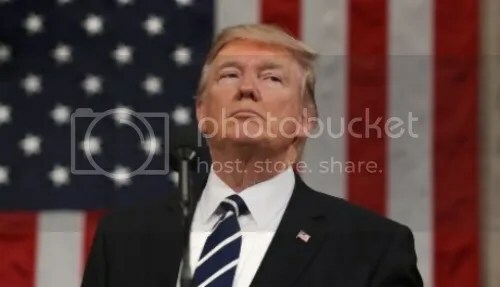 President Donald Trump. (Jim Lo Scalzo, AFP/Getty Images). The prevailing opinion on the state of the Trump administration is appropriately summed up by Senator Corker. Inundated in scandal and desperately seeking focus, the White House is struggling to accomplish its goals, and deliver on promises made to the American people. In our hyper-partisan world, the process of identifying President Trump’s accomplishments likely turns on party affiliation. However, this article offers an argument for the viability of the administration’s anti-gang strategy, but questions the basis for the underlying policy. In response, President Trump, both during his campaign and as president, has made federal anti-gang enforcement a priority for his administration. In particular, he has focused on the Salvadoran gang La Mara Salvatrucha, or MS-13. 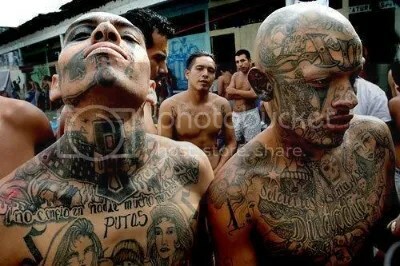 MS-13 members, pictured here, are known for their brutal crimes against those who challenge their territory. (unitedgangs.com). With these actions, President Trump has kept his campaign promise to crack down on violent street gangs, particularly MS-13, as a part of his larger law enforcement and immigration strategy. 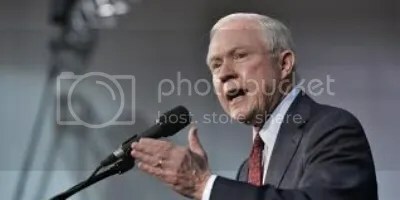 US Attorney General Jeff Sessions was directed by President Trump’s Executive Order to combat violent street gangs like MS-13. (Mandel Ngan, AFP/Getty Images). However, there are several issues with conflating anti-gang operations against MS-13 and national immigration policy. First, while it originated in El Salvador, MS-13 has been established in the United States since the 1980s. So, while some members likely travel illegally to the US, many have been in the country for years. Additionally, it is unknown how many of the 10,000 MS-13 members in the US are illegal. Even if a majority of those members are undocumented, they would still constitute a small fraction of the 11 million illegal immigrants in the US, creating a tenuous link between MS-13 organized crime and undocumented immigration. Lastly, the federal government might be undermining its anti-gang policy by equating MS-13 members with undocumented immigrants. MS-13 often pressures vulnerable undocumented people to join their gang through extortion or manipulation. However, by pushing aggressive anti-immigration policy, the Trump administration has created a relationship of fear between illegal immigrants and federal police. As a result, those being targeted for membership by MS-13 are not likely to appeal to the authorities for help, and in turn succumb to the demands of the gang. That said, the Trump administration’s anti-gang operations are prudent actions and should be pursued as part of a larger law-enforcement agenda. However, in this case the administration’s anti-gang strategy should not be conflated with its immigration policy. Instead, the focus of the administration’s MS-13 operations, and future anti-gang policy, should be keeping all people living in the US safe from criminal organizations, including those who are here illegally and need that protection the most. Encyclopedia Britannica. (2017). Gangs. Retrieved from https://www.britannica.com/topic/gang-crime. Federal Bureau of Investigation. (2017). What We Investigate: Gangs. Retrieved from https://www.fbi.gov/investigate/violent-crime/gangs. Lynch, J., Boyette, C., Simon, D. (2017). What is MS-13? The Transnational Street-Gang on the FBI’s Radar. CNN. Retrieved from http://www.cnn.com/2017/03/03/us/ms-13-gang-explained-street-gang-international/. Blitzer, J. (2017). The Gang MS-13 is a Real Problem, But Does Trump Have Any Real Answers. The New Yorker. Retrieved from http://www.newyorker.com/news/news-desk/the-gang-ms-13-is-a-real-problem-but-does-trump-have-any-answers. Lynch, J., Boyette, C., Simon, D. (2017). The White House. (2017). President Trump Signs Pro-Law Enforcement and Anti-Crime Executive Orders. Retrieved from https://www.whitehouse.gov/blog/2017/02/09/president-trump-signs-pro-law-enforcement-and-anti-crime-executive-orders. Sachetti, M. (2017). ICE Announces Largest Anti-Gang Crackdown in Agency History. The Washington Post. Retrieved from https://www.washingtonpost.com/local/social-issues/ice-announces-largest-anti-gang-crackdown-in-agency-history/2017/05/11/ad1367bc-3651-11e7-b373-418f6849a004_story.html?utm_term=.685525c7b2e6. Kopan, Tal. (2017). ICE Announces Major Anti-Gang Operation, Mostly US Citizens Arrested. CNN. Retrieved from http://www.cnn.com/2017/05/11/politics/ice-gang-arrests-operation/. Kopan, Tal. (2017). MS-13 is Trump’s Public Enemy No. 1, But Should it Be?. CNN. Retrieved from http://www.cnn.com/2017/04/28/politics/ms13-explained-immigration-sessions/. Kopan, Tal. (2017). MS-13 is Trump’s Public Enemy No. 1, But Should it Be?.